How to add animated new posts, New notification and welcome messages to your visitors on the blogger homepage. Also for showing breaking news. Awesome widget for blogger. So if you are serious about your website and want to increase your blogger blog traffic then you must add this welcome message and animated new post displayer widget to your blogger blog below the navigation menu. 13 Type of navigation menu bar widget for blogger. Collection for professional, entertainment and technical blogs with black, brown, yellow, pink and white colors. Professional, beautiful and attractive. We have shared many types of navigation menu bar widget for blogger and this time we are combining all with one post so that you can get all in one and do not have to waste your time in finding the navigation menus on different sites. We have tried to give you the best navigation menus so far and we will continue with this. You will find here navigation menus for technical, professional and entertainment websites that are professional, attractive and very beautiful in blue, black, pink, yellow, white and light brown colors. When I started this blog I started with navigation menus and my first 5 posts were written the navigation menus and till today we have published around 13 posts on the navigation menus. In most of the posts we have given you ready to play with the code. You just have to copy the code and paste in the gadget and you are done. So enjoy this collection of navigation menus that are built especially for blogger. 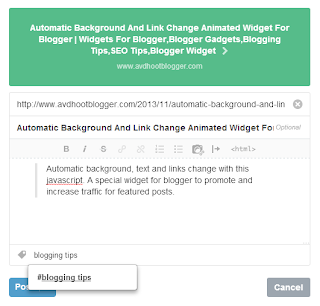 Tooltip effect navigation menu bar widget for blogger. It displays the name of the icon when you hover your mouse over the icon on the menu. Created in html and css. After sharing lots of different blogger widgets and navigation menu bar widgets for blogger. This time we are sharing a tooltip effect navigation menu. We have shared many other navigation menu that is best and with some animation. Take a look on this navigation menu. 3D flying book navigation menu widget for blogger. Animated horizontal navigation menu widget for blogger. Call to action navigation navigation menu widget for blogger. Hammer effect navigation menu widget for blogger. We have shared many navigational bat widget for blogger that includes drop down navigation menu, Horizontal navigation menu and call to action navigation menu widget for blogger. And this time we are coming with 3D effect. One of the best and attractive animated navigation menu bar widget for blogger. Since today we have shared many navigation menu bar widget for blogger that were vertical but this time we are gong to give you a horizontal navigation menu. It has some fantastic animation. When you hover your mouse over the icon or image than it gives you a feel of vibration and slides towards right side. That is why we have given a name of vibrating horizontal navigation menu. In our last post we shared Solid responsive navigation drop down menu and animated call to action navigation menu for which we got nice feedback. So this time we are coming up with a horizontal navigation menu. Below is the combined code of html and css. You have to copy the code and paste the code where you want this widget to appear. If you want to do it a different way that we will also share separate html and css code for you. So you can install this widget different way. Solid responsive navigation menu drop down navigation widget for blogger. With dashed borders. Good and best for professional websites and blogger blog. Hammer effect drop down navigation menu bar for blogger. Charismatic social media drop down menu bar for blogger. These are drop down navigation menus and apart from this we have shared many others navigation menus too. But this one is pretty awesome and professional. When you hover your mouse cursor over the menu then a sub menu appears with a white background. 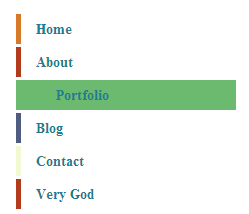 You can edit this navigation menu with your color choice that suits to your websites. We have chosen the basic color that will help you to increase website conversion rate. For more info how to increase website conversion rate, read the below article. Show your advertisement space in a more effective way to advertisers. This article explains how to add an animated advertisement space widget to blogger. Today I am publishing code for advertisement space that you can add in your sidebar or below the navigation menu to show to your advertiser in a more professional way. There are lots of ways to earn money from blogging and one of them is direct advertisement. So it will be good for you id you do this in a more professional way because your blog must look professional to impress advertiser. So below is the html and css code for this widget. You can edit the effects and images as per your choice. This widget is animated i tell you why. It has some beautiful css hover effect. When you move your mouse cursor over the banner then banner moves up and ad spaces are shown with tooltip effect. I have added images for 125 *125 ad spaces. You can also customize them and you can remove them with your images. You can also edit the css hover effects with you. Animated call to action navigation menu bar widget for blogger. Best for blogger blog based on html and pure css. We have shared many navigation menu bar widget for blogger and this is the new and very different from others. This navigation menu is based on html and css. Yes it is animated nav bar because when you hover your mouse on the menu buttons suddenly a call to action buttons appears and prompts users to click. It is very helpful in increasing your website conversion rate. If you really want to increase your website conversion rate than read this. We have also written a post on how to optimize buttons for more clicks. This post will also be very useful for you to get more clicks on buttons and to increase website conversion rate. Show tooltip when you hover over a link. An awesome tooltip effect for your internal links embedded in blogger blog posts. We have shared many tooltip based social media widget for blogger and also wrote an article about how to get more clicks on internal links and how to optimize them. This time we have added a tooltip effect on links. When you move your mouse cursor over the links that you have inserted into blogger post. Then at the time of hover these links will show a message box as a tooltip which will look awesome and convince users to click. An awesome way to optimize internal links for more conversion. You can optimize your internal links through a number of ways. 3 Drop oval shape bubble widget for blogger. Best way to show author notes in the blogger post. Built in HTML and CSS. Yesterday we shared how to insert bubble speech notes widget in blogger and today we will share some better design of the bubble widget for blogger. Today we will discuss about the 3 drops means a big bubble with two tail bubbles and its shape will be oval. So this is named as 3 drop oval shape bubble widget for blogger. Built in HTML and CSS. Best way to show author's note in the post. Helps in more conversion if links are inserted in it. How to insert bubble Speech Notes in blogger post. A new widget for blogger to make the user focus on special points and increase conversion rate of a website. How to insert bubble speech notes and what is the need of inserting them in blogger post. We will discuss it today because it will be very helpful to increase conversion rate of your blogger blog and also a good way to make the user focus on special points. I have written two tremendous posts about making user focus which was recommended by many specialists about how to increase conversion rate of blogger blog. You can read this awesome article on here. 10 Psychological blogger design tips to increase conversion rate. How to make the user focus on special points. How to get more clicks on links.